Standard Life Aberdeen has said a tribunal has ruled that Lloyds Banking Group did not have the right to end a mammoth £100bn (€117bn) contract with the asset manager. 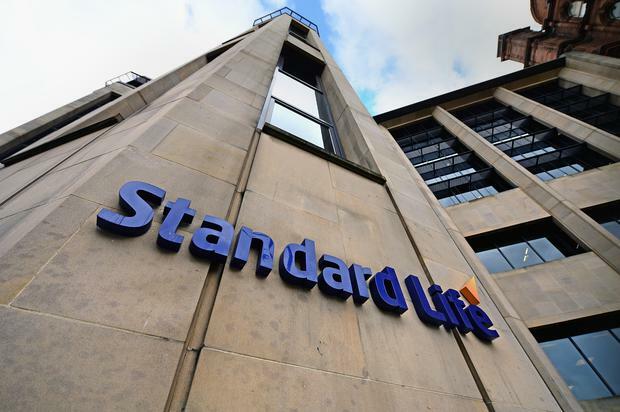 Keith Skeoch, chief executive of Standard Life Aberdeen (SLA), said: "Now that the arbitration panel has ruled in our favour, we will carefully consider our next steps, working constructively with LBG (Lloyds) to bring the matter to resolution." SLA added that, in the meantime, it will continue to manage the assets "in the best interests" of Lloyds customers. Shares in SLA rose 3pc after the announcement. Last May, SLA launched its challenge against the lender's decision to end the lucrative contract. Lloyds dealt the blow to the asset management giant in February 2018, when it announced it was ending the contract - SLA's largest single client - citing a material competitor clause. A spokesman for Lloyds Bank-owned Scottish Widows said: "We are disappointed with the decision of the arbitration tribunal, and will look to discuss its outcome with Standard Life Aberdeen." He added: "We will discuss starting the process of an orderly transfer of assets to our new partners, BlackRock and Schroders. "We will continue to work closely with Standard Life Aberdeen to ensure there is no disruption to performance or service." But Lloyds maintains there was a clause allowing it to end the mandate if Aberdeen merged with a competitor and believes this was triggered by the £11bn tie-up between Standard Life and Aberdeen Asset Management, creating the UK's biggest fund manager.